Robert MacNeill received his Bachelor’s degree with Honors in Chemistry from Heriot Watt University then his MSc in Analytical Chemistry from the University of Huddersfield, both in the United Kingdom. Robert is also a Chartered Chemist and a Fellow of the Royal Society of Chemistry. 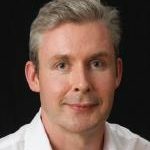 With 20 years of experience in all aspects of quantitative bioanalytical LC–MS/MS method development, 11 of these years heading method development activities within HLS/Envigo, and a regular author and peer reviewer for the journal Bioanalysis, Robert is a recognized expert and innovator in the field. There are, in essence, two schools of thought that I can perceive when discussions occur on the topic of appropriate purity of the laboratory water and various solvents, additives and reagents for any given stage of a quantitative bioanalytical procedure. I can understand the perspectives of both, but I am cemented with one in terms of my angle and agreement. It is actually something that can spark surprisingly heated argument. I think it is down to this being, on the surface, quite a simple subject which shouldn’t require much thought to generate a suitable outcome. Then there is a natural resistance to change as regards what one expects to use from experience. Around ten years ago, I discovered LC–MS grade solvents commercially available. When I was recommending the switchover to these from the historic HPLC grade for bioanalytical LC–MS applications, I was astounded to find resistance, even though for me it seemed like the proverbial no-brainer. It took weeks of persuasion for all my colleagues to be content; fast-forward to nowadays and MS-appropriate grades are engrained in all protocols. The two schools of thought are as follows. 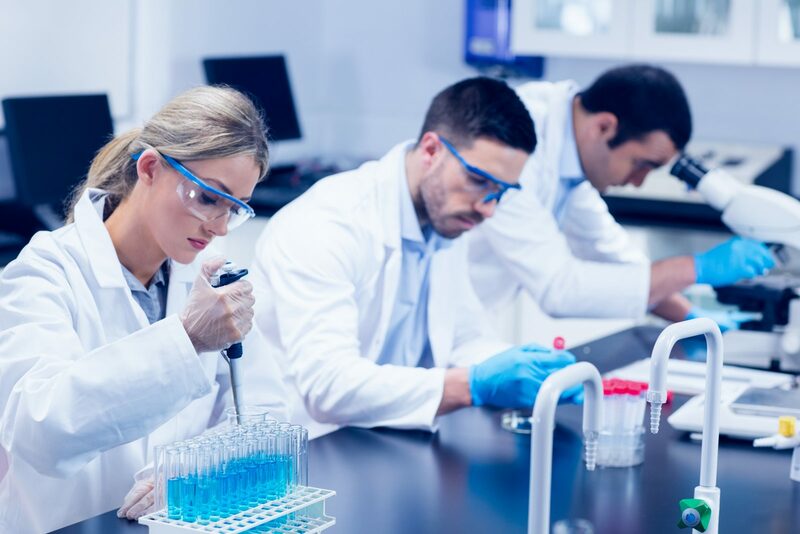 One is about using what seems to work and aiming for cost-efficiency in the context of using the most readily available, or lowest grade, so to speak, that results in a functional assay. Perhaps only at the analytical endpoint this may involve using the most scientifically appropriate grade, the reconstitution and the mobile phase in the LC–MS analysis, as opposed to these and all prior steps in a bioanalytical procedure. The opposing angle is more old-school, I suppose, where risk of signal loss and associated non-reproducibility is minimized in the interests of method performance and reliability, and where minimizing solvent costs is not so much of a priority. The most scientifically appropriate grade is used in all steps of a procedure, from the preparation of primary solutions to the final analysis, considering primarily the nature of the LC–MS analytical endpoint. Now, for bioanalytical LC–MS, within the possible options, the most scientifically appropriate grade of solvent is LC–MS grade. What makes this a better choice than the clear and historic competitor of HPLC grade? The most significant part of the answer for LCMS is that it is deionized, and that is not the case for HPLC and other non-MS grades. Whilst knowing the risks they bring, we are not overly concerned with trace organic interferences, which are controlled anyway in HPLC grade solvents, in our wonderfully selective LC-SRM methods. However, we require that ionic – especially hard ionic with concentrated charge – contaminants are removed to trace and controlled levels. Whilst minimizing these contaminants dramatically reduces adverse phenomena like stable adduct formation and displacement, directly affecting sensitivity, there is probably more importance in the control, since without precision and reproducibility there cannot be a useful method. HPLC grade solvents are not associated with any concern about levels of anionic or cationic impurities. This is particularly important with water, where ionized and ionizable contaminants are most solubilized. LC–MS water must be Type 1 and used fresh to be truly reliable, by the by, and that is with regard to interferences that are ionic, organic, or leachables from storage containers and the possibility of bacterial growth. Anyway, it is very important to understand that the lack of control, as these key ionic contaminants aren’t even measured, emphatically does not fit with a conscientious analytical mindset. Why take the risk? It is fairly intuitive to consider that a biological matrix, particularly something like plasma, will contain large abundances of the very interferences mentioned above, and a host of others. This is the basis of the mentality lending itself to using the right grade only post-extraction. However, consider one of the key adverse phenomena, the adduction of hard cations, such as the formation of a coordinate covalent bond between a sodium ion and a lone pair of electrons on an amine moiety on the analyte. This is the kind of complex that is unfavorable if the protonated form is being monitored for quantification, as is typical in quantitative applications. I think it is very important to bear in mind that in the same given matrix there will also be a great abundance of many different endogenous small and large molecules that these same ions can and will adduct to, thus taking away significantly from the available yield that would otherwise adduct to our test compounds. Indeed, a solution hypothetically containing similar levels of these contaminants is a far more dangerous scenario than in matrix, since there is no other material present to soak them up, as it were. Therefore it would seem to be the case that the use of solvent and additives of the right grade prior to work in matrix is actually at least as important as in the latter stages, contrary to the stated mentality. All in all, out of principle, I would strongly recommend controlling what can be controlled and to strive for the best performance data, not to resign oneself to defeat in a presumption. Yes, there may be a few times more of the likes of sodium or potassium in human plasma than regular water, but other endogenous substances accept their adduction, thereby working to save the signals from our monitored compounds. In any case, it should not give the green light to lay on the abundance with an inappropriate solvent grade and increase the chances of unacceptable method performance. If, for a given solvent, it is a little more expensive to use LC–MS grade than the likes of reagent grade or HPLC grade, and that won’t necessarily be the case, it is well worth it for method performance and reliability.